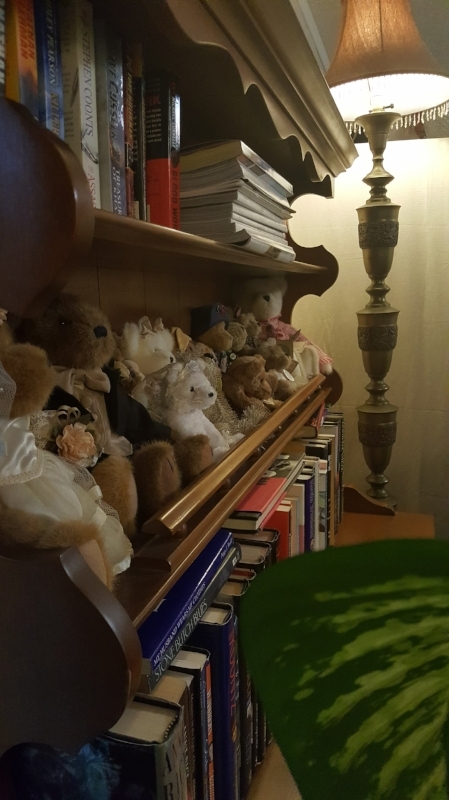 I began this post in the company of about 20 stuffed bears. They were docile looking creatures, nestled close together, dressed in ruffled sleeves and sporting dapper ensembles. I'll admit they were not my favorite company, but bears aside, the Airbnb we stayed in was charming and cozy. I drank a comforting mug of earl gray tea and eyed the York peppermint patties that were gifted to my friend Kerby and I. The host Victoria was very kind and welcoming. We spoke about the craziness of all of the developments (Seattle much the same) and how she's ready to live more of a country life. Amber, a neighbor and fellow contributor to the hotel, shared that within a span of half a block are a salon, and a thrift shop of women's clothes, and items for travelers. Victoria has built a wonderful lodging and community for visitors to enjoy. After a 3.5 hour drive it was a welcomed respite to stay in the princess suite. This one was my fault. We were on our way to the falls and I hadn't eaten breakfast, except for the tea, and unfortunately my body needs a hell of a lot more than tea to function. And imagining the coming hike, I knew I would not fare well if I didn't have something to sustain me over the next few hours. So, Kaitlin kindly pulled off the freeway to find a place for me to grab a bite to go. Not far from the freeway, past a home goods shopping area and various fast food establishments, was the most lovely surprise in the form of Troutdale. We parked on the street of the historic district, a quaint area comprised of art galleries and cafes that bellowed charm in the most unassuming way. The café we went into was actually a part of a home furnishings and décor store called Celebrate Me Home. The store was filled with rustic charm. The various furniture, lighting, and accessories made for a fun time of perusing. Now stocked up on a breakfast English muffin and a lemon poppy seed muffin, we were ready to conquer this trail and meet this waterfall. We started the day early so as to greet nature before the crowds because the weather was perfection. There was sun and warmth and blue in the sky. For those unfamiliar with the northwest, when sun arrives, people abandon the indoors for every second that the light breaks through the clouds and the gray. Sun is loved and welcomed and sadly few and far between. The hike was suggested by Kaitlin who is super knowledgeable about the different waterfalls and trails in the area. Listening to her describe her different experiences made both Kerby and I want to plan a hike for every day of the week. 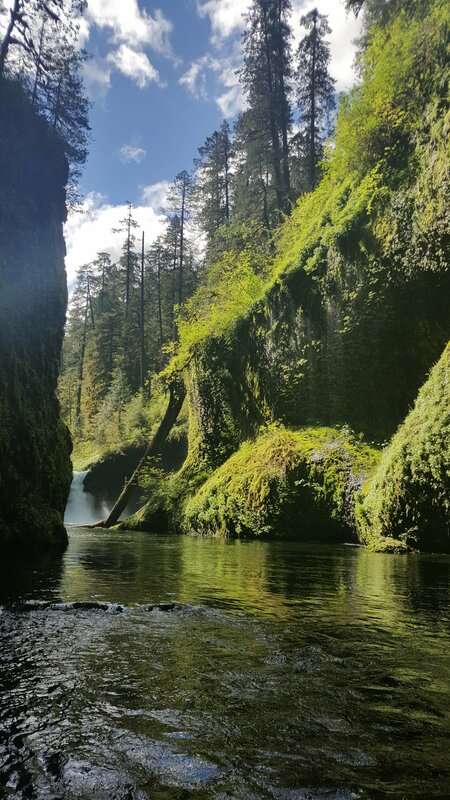 The waterfall of choice for this weekend was Punch Bowl Falls. About an hour outside of Portland, the waterfall is located on Eagle Creek, in the Columbia River Gorge National Scenic Area. It is absolutely beautiful and is a wonderful place to traverse, camp, and, if you so dare, wade into the water. There are a few hike options that are as long as about 14 miles, destinations like Whatum lake and Tunnel Falls to explore. I'd like to think that detour didn't set us back too far, but I take full ownership if it did. Finding a parking spot was crazy and it continued to be for everyone who came to visit. As we drove up we saw multiple groups loaded with gear tightly wound in their backpacks, families and couples with their dogs, all ready to embark on their journey. The trail is about 2 miles one way with a manageable variance of incline and flat ground so though my legs burned with grave intensity I was still able to breathe (sort of). It was a tender reminder of how out of shape I am, but also inspiring to think of the future hikes that could help improve that neglected part of my life. It was a beautiful hike. At one point we came to a precarious rocky ledge, about 2 feet wide, that was amazing and slightly unsettling. On the edge, the steep decline would take you to the river but not in a way you'd want to go. 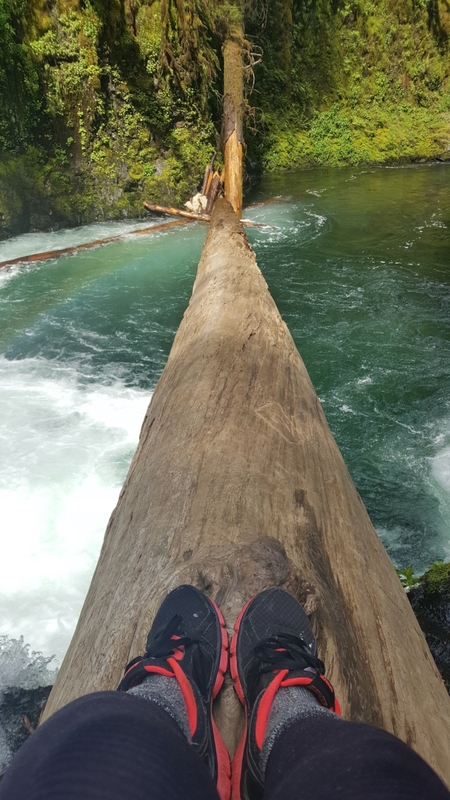 It looked to be at least a 100 foot drop so as a supporting measure, ropes were bolted to the rock for people to hold onto. Kerby found her confidence in that rope. I definitely hugged the rock's side. But it was so cool. 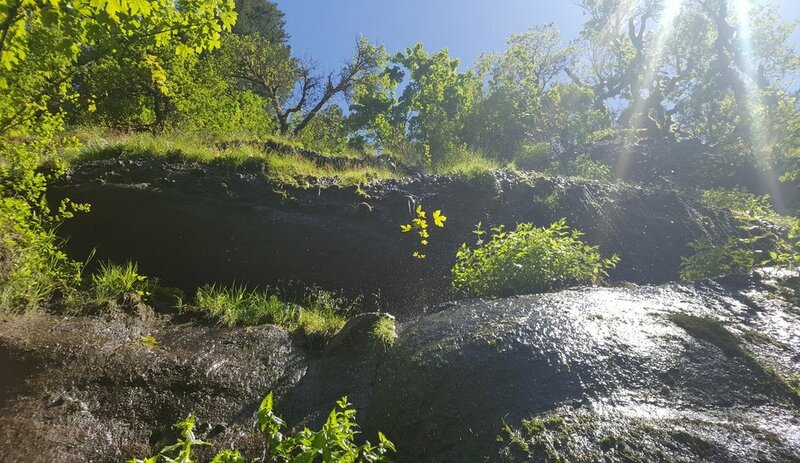 Water found its way over the ledge, falling on us like rain, a refreshing and tantalizing feeling as the sun broke through the trees. This lower trail leads to the waters edge about 75 feet downstream from the falls, so when we arrived, the waterfall was difficult to see, hidden by huge expanses of rock and trees. The only way to get a good look was to traverse through the calf high current, which flowed with aggressive force. I decided I didn't want to get my socks and shoes wet so I waded through the water barefoot. Not the best idea. The rocks were slippery and with the rushing current, the lack of grip made for some stressful moments where I was sure I was going all in. I jammed my toes between the rocks to find some foundation in the sand and reached my hand out to Kaitlin's for dear life until I could gather my bearings. Oh and it was freezing. Legs shaking until they go numb kind of freezing. The white frenzy of the falls crushing into the bowl was a beautiful sight and in truth I didn't even get to see the whole of it. A little ways ahead of us were some rocks perched above the surface, but a few other people were making their way across and I didn't want to risk an awkward tangle and then we all pummel into the water together. Making our way through the wild created a great appreciation for this beautiful environment. To see the bloom of flowers, small streams of water finding their way to the river, it was an even greater reminder that all of it is a living, breathing thing. I can't wait to do more. This was the best detour and happened so smoothly it felt like fate. As we entered the freeway, our only option was to take a right and head in the opposite direction of Portland, but low and behold, a sign for Thunder Island appeared just a mile down from the punch bowl falls site. This place was a destination Kaitlin recommended but was certain it was further on so when we saw the sign, the split second decision was made to take a break and enjoy a drink on this beautiful day. Thunder island is a part of the Cascade Locks, carved out of the mainland in 1890 to help build the Locks and Canal. It is neighbor to the famous Bridge of the Gods, a notable location along the Pacific Coast Trail (a 2,650 mile hike that extends from Canada to Mexico). 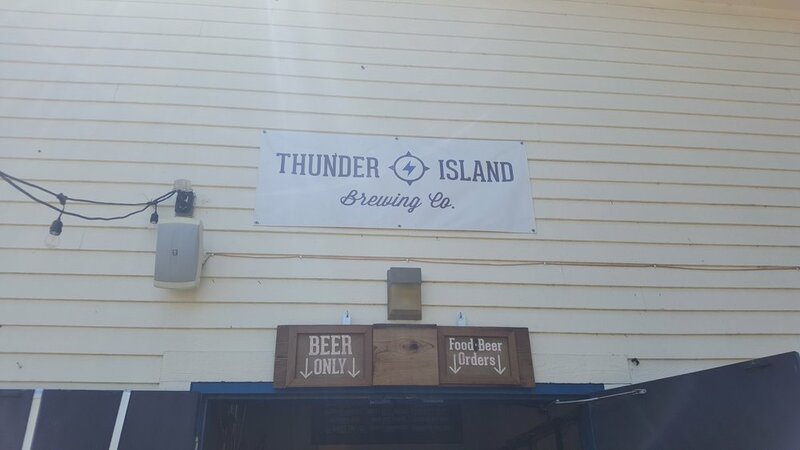 We went to the Thunder Island Brewery, which serves locally crafted beer and cider, along with a delicious array of food. 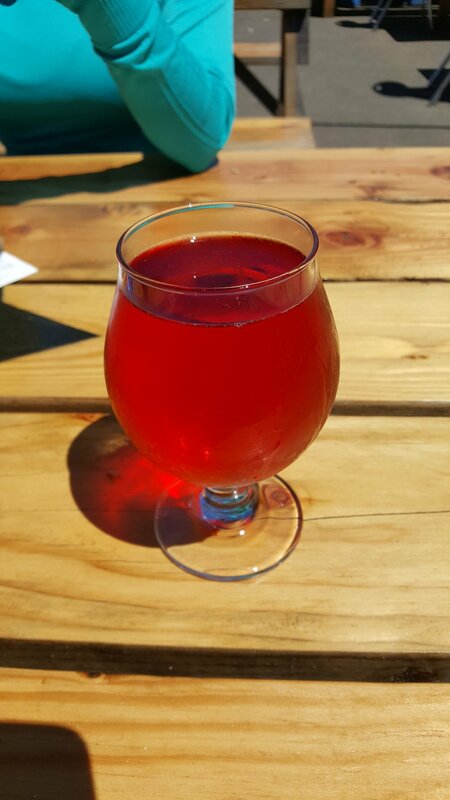 The brewery sits right on the Columbia river's edge where you'll find windsurfers flying high as the wind sweeps them up into the sky, a few of us gasped at the sight (myself included). There is also the Sternwheeler Columbia Gorge, a sight seeing cruise that looks so picturesque with its red, white, and blue facade gliding along the river. With the rich green forest as its back drop the whole view is like a painting. 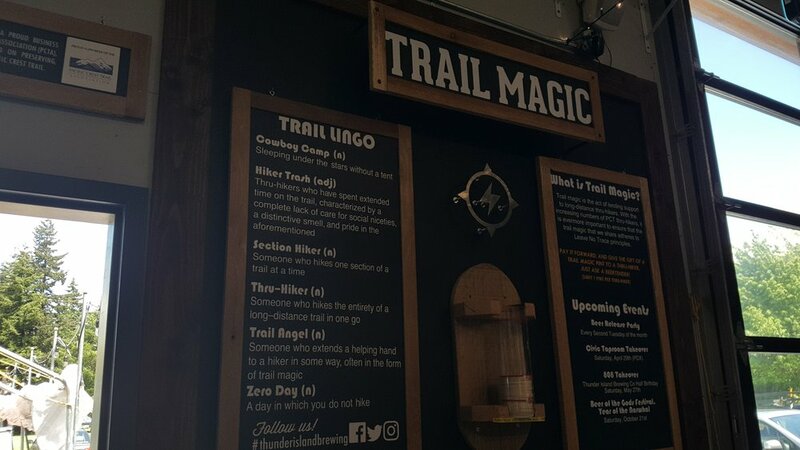 The brewery is a hub for PCT backpackers, and they made their interior a honor of sorts to their journey that includes an awesome pay it forward system called "trail magic meter". I loved the sense of community. This sign that explains the lingo and events of the PCT is a great example. The Bridge of the Gods. Fun fact: this is the location where Cheryl Strayed, author of the memoir Wild, passed through on her PCT journey in 1995 (played by Reese Witherspoon in the film adaptation). based in Portland, OR. Sooo good. The beautiful hike through nature was a wonderful start to the day and set us up perfectly to enjoy the sights and sounds of Portland. Sight, sounds, and the smell of doughnuts. Check back in, Portland Part II soon to come!